SALE!! 1940s Brown Felt and Fur Suit Hat! 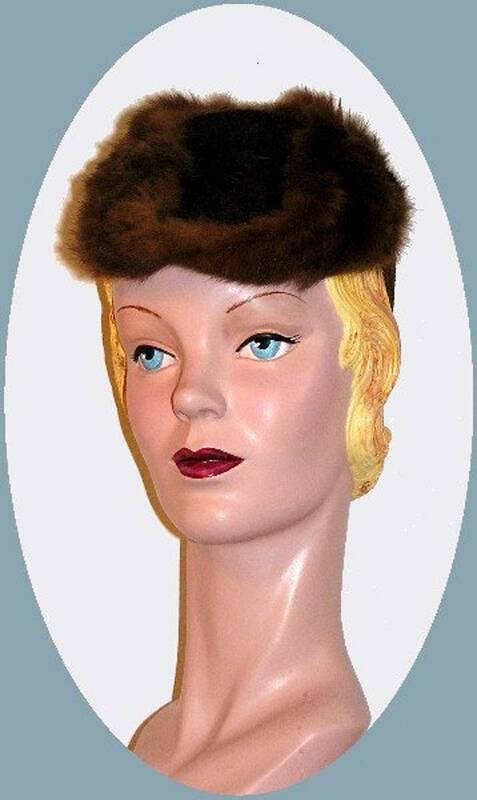 1940s Brown felt top hat with fur trim around the front. The back has a strap for snug fit. SALE!! 1940s Brown Straw Weave Suit Hat !! SALE!! 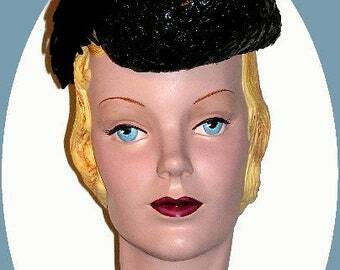 1940s Dressy Weave and Felt Hat! SALE!! 1950's Brown Velvet Cocktail Hat!! SALE!! 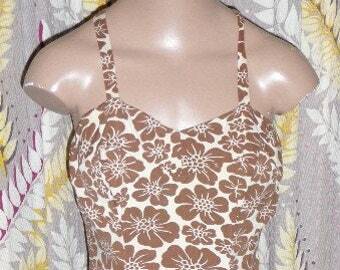 1960s Ladies Bathing Suit! SALE!! 1950's Tope Velvet Cocktail hat with Mink and netting!! I never expect a vintage item to be in perfect shape, however, I was disappointed that the seller never mentioned how dirty the inside of this little hat was, nor did the photos show it. Since it is constructed of straw, it cannot be cleaned. Shipping was fast and courteous, which explains the one star rating. WOW...It's usually customary to contact a seller about your disappointment before giving Feedback. The Hat IS NOT dirty, and I would have preferred to get it back than a Negative rating. I have been wearing and selling Vintage since the 1980's and have had my Business since 1990's, working with movies and theater. I know my stuff. It's true we all see things differently, but you have failed in your Lack of diplomacy and have only yourself to blame, it seems you are the kind of person that lacks the social skills to communicate properly for a resolution. New!!! 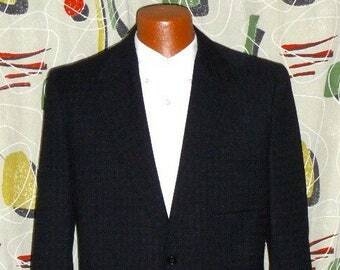 1950's Brown Gaberdine Sport Jacket!!! Love this dress! Thank you!! Credit Cards: We accept Visa and MasterCard , Discover or debit cards through the check out. Money orders or traveler's checks: Items will be sent upon receipt of a money order or traveler's check. Personal checks: Please use the check out for the echeck option. It sends a vurtual check from your account. Any returns must be post dated with in 48 hours of receipt for Jabot's on-line credit only! USPS will send confirmation with tracking number. Enjoy your purchase and thanks again for shopping with www.HollyVogueVintage.com ! Items will be sent First class Mail, depending on weight and location within the continental U.S. If you are not in the continental U.S., please notify us so that we can adjust the shipping costs. International orders are at their own risk for delivery when shipping Air Mail, Priority is preferred because it has tracking for both of us! All Sales Final on Discount Items. New!!! 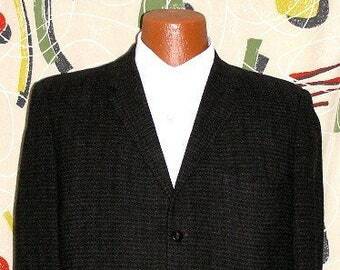 1950's Men's Wool Fleck Suit Jacket! SALE!! Navy Dress Weave Hat with Yarn Feather and netting!! SALE!! 1950's Navy Straw Weave Hat with Netting!! SALE!! 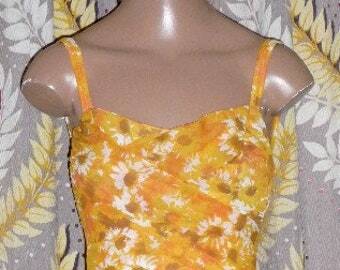 1950's Cream Formal Cap! SALE!! 1950's Pink Dress Hat!! New!! 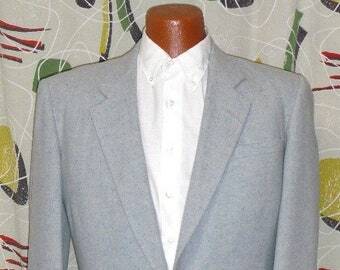 1950's Gray Sport Jacket! !